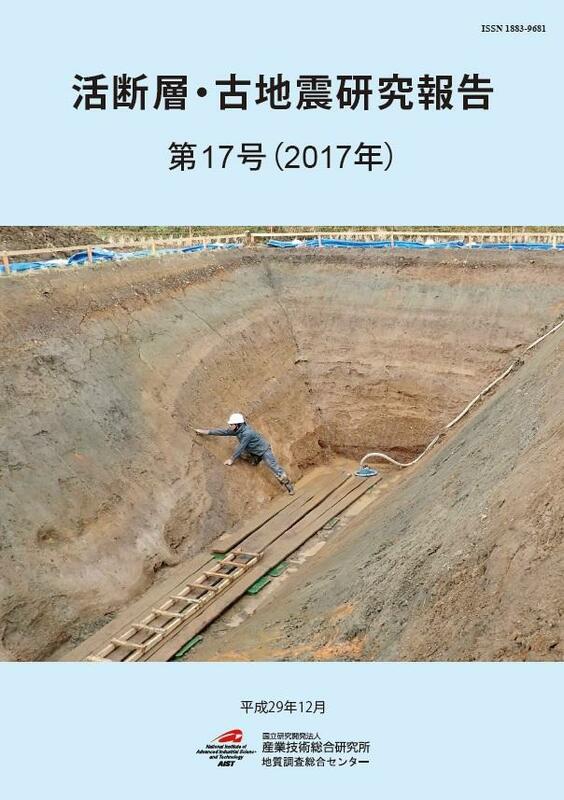 We dug two trenches on the Hinagu fault zones in 2017. The Yamaide trench located on the Kosa town, Kumamoto was excavated across the coseismic surface ruptures of the 2016 Kumamoto earthquake. On the trench wall, we can see inclined strata cut by obvious but apparent reverse fault planes. 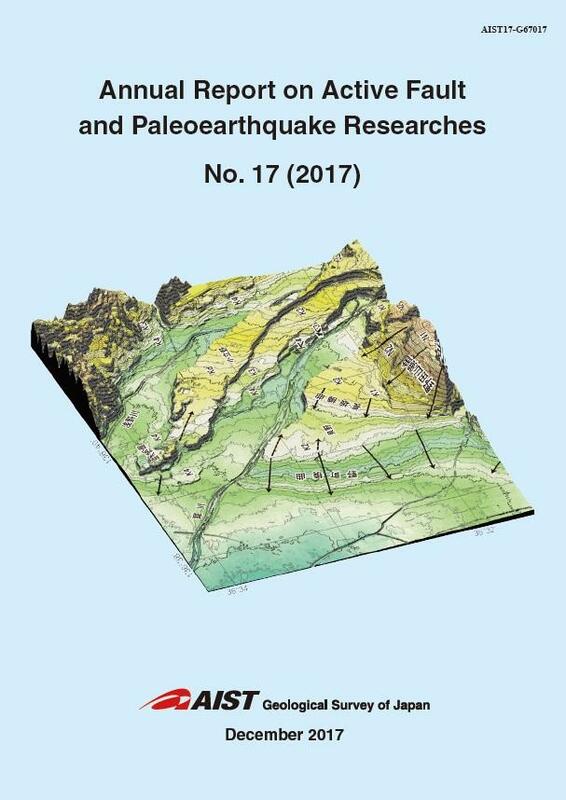 Based on the detailed trench wall observation and 14C-datings of strata, it was revealed that the Hinagu fault zones caused earthquakes more frequently than it was thought conventionally. This image is generated from 5 m-DEMs. An area of 4.0 x 5.3 km is shown as a birds-eye view image looking down from the WNW at the depression angle of 35 degrees. Contour interval is 2 m. Vertical exaggeration of the image is 5 times. See the detailed in Awata (pages 117-136).